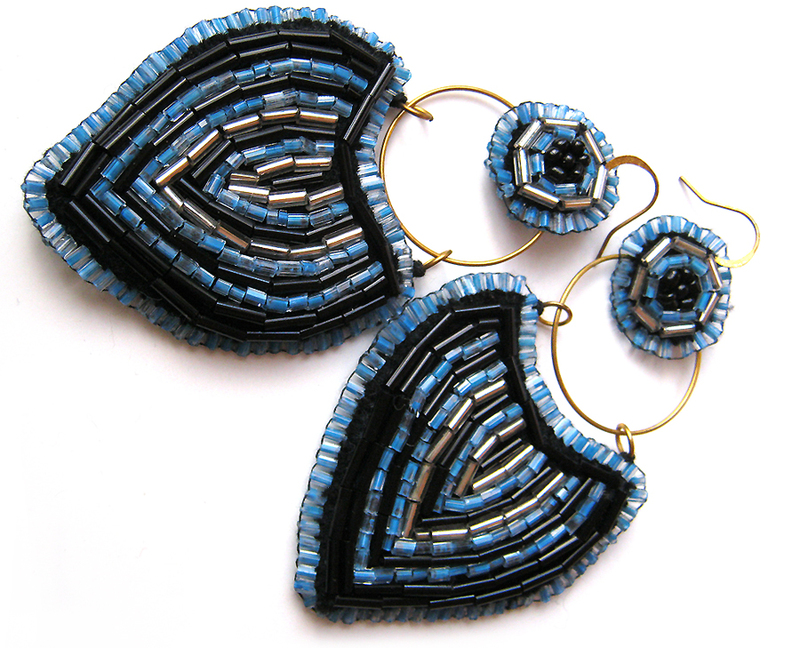 Handmade beaded earrings "Midnight". Length: 8 cm, width: 4, 5 cm. lightweight.